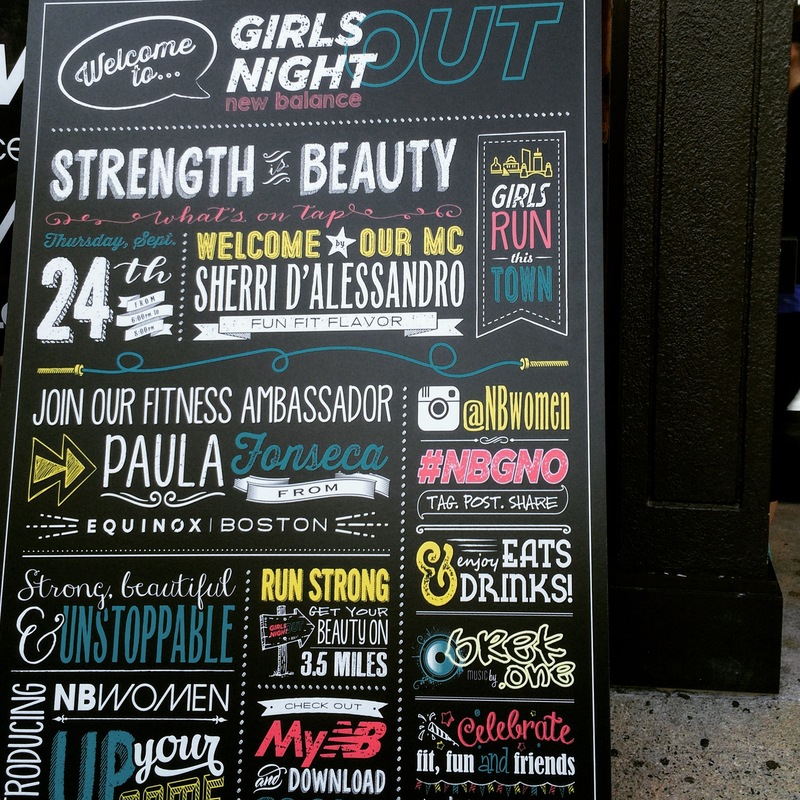 Last night I was finally able to attend one of the awesome events that New Balance puts on every few months for women. This event happened to be a nation wide event; the biggest event to date! 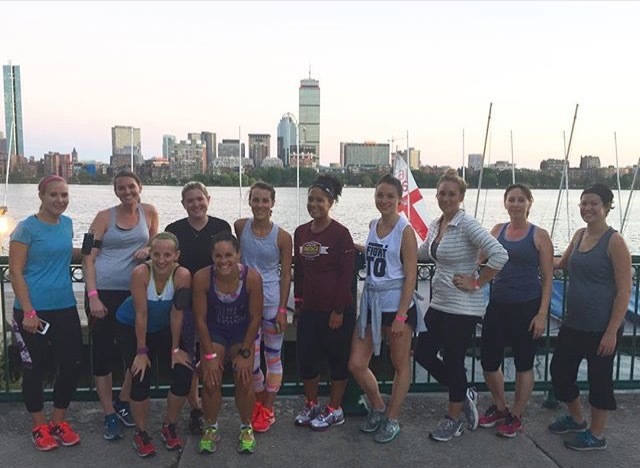 Over 50 new balance locations and cities participated! So, what was it all about? “Strength is Beauty” – the theme of the event that showed throughout the night..
Sherri D’Alessandro, blogger of Fun Fit Flavor, was on the mic the whole night as powerhouse instructor, Paula Fonseco put on an hour long strength training workout designed by NB Ambassador Holly Perkins outside in Copley Plaza for half of the women. 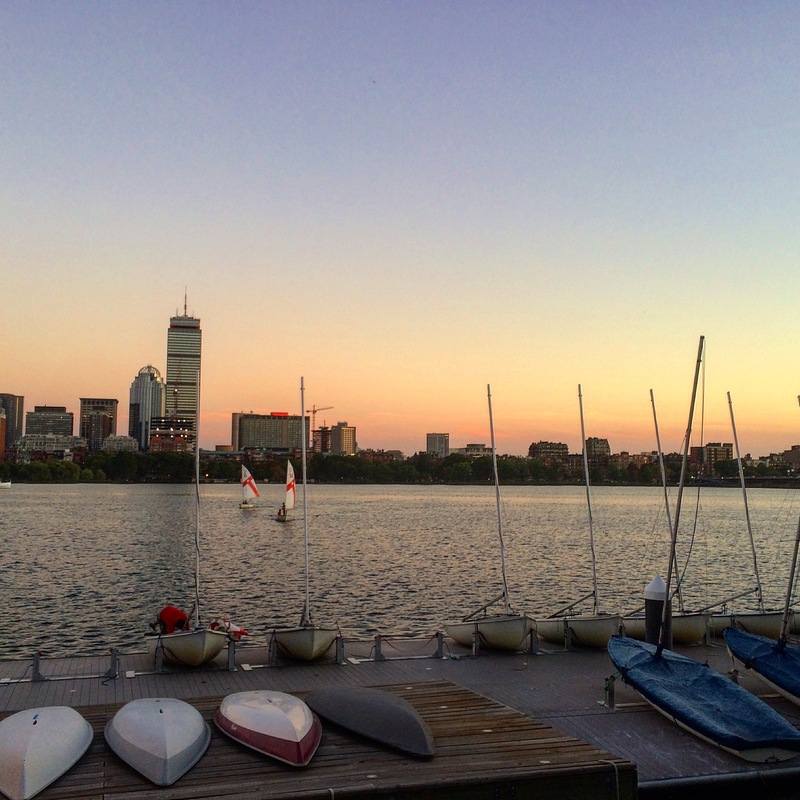 The other half (including myself) got to go on a 3.5 mile run along the Charles River which led us back to the New Balance store on Boylston. After the class & run ended all the women in attendance got to mingle and network while sipping on juice and treats from Health Warrior, Thirst Juice Co, Essentia Water and more. 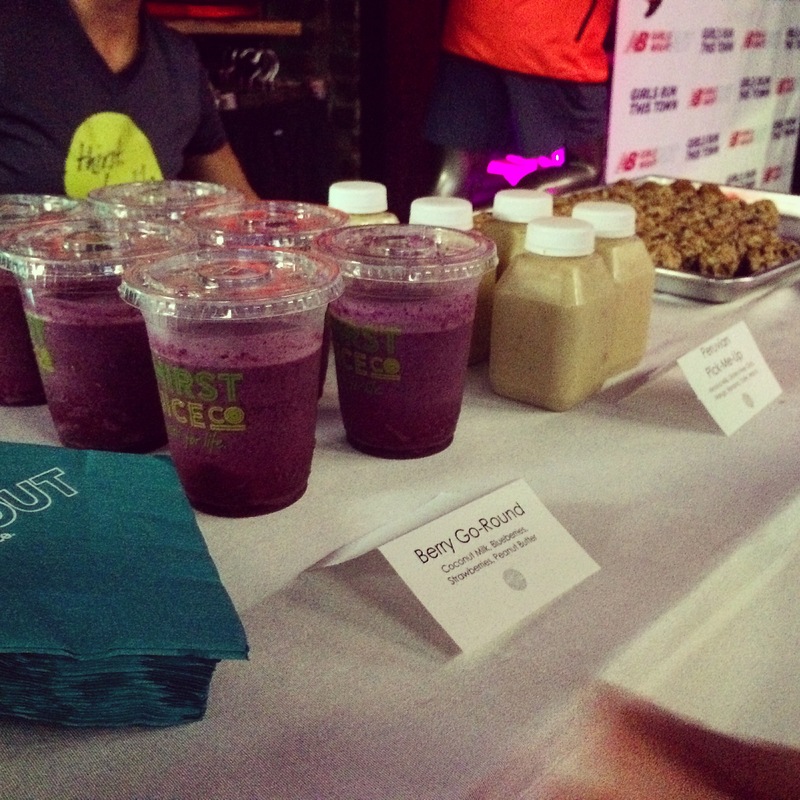 Thirst Juice Co. brought AMAZING pumpkin and cacao flavored superfood bites along with two types of smoothies for everyone to enjoy. DJ BREK.ONE blasted music and Sherri gave a great small motivational speech about what “strength is beauty” means to her. All the women also got to leave with a swag bag including a “Girls Run This Town” new balance tank. 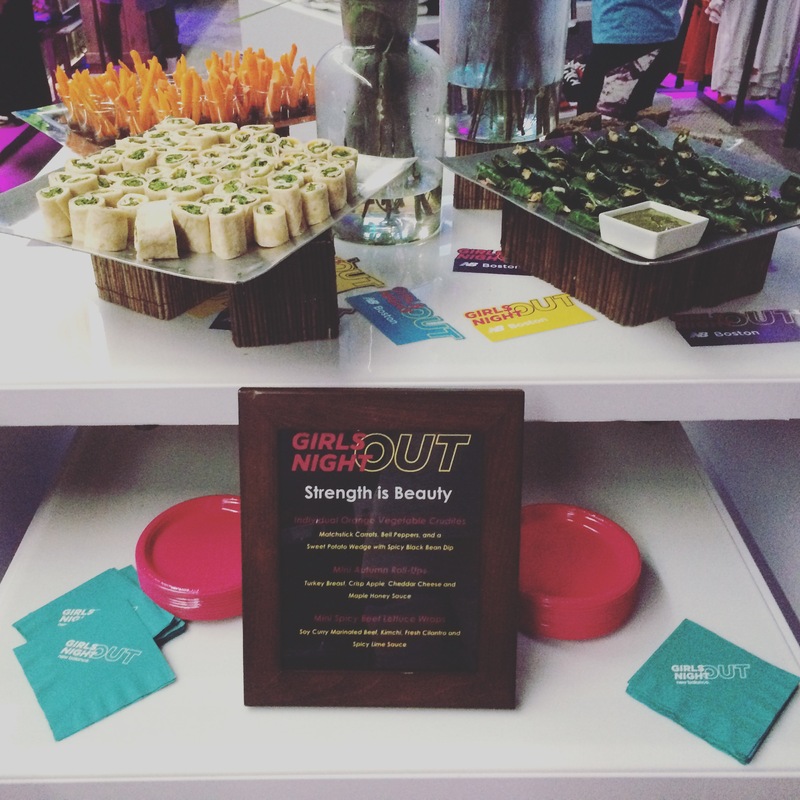 The entire night was inspiring and filled with women who are passionate about health & wellness. It was also so great to finally meet in person many of the other Boston based health & fitness bloggers too! Lets just say, I can’t wait for the next one!